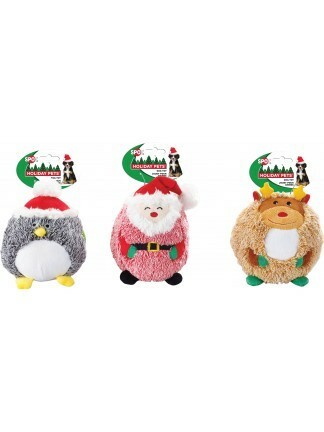 Shaggy plush holiday themed ball shaped toys. Squeaker for added fun. 3 character assortment. 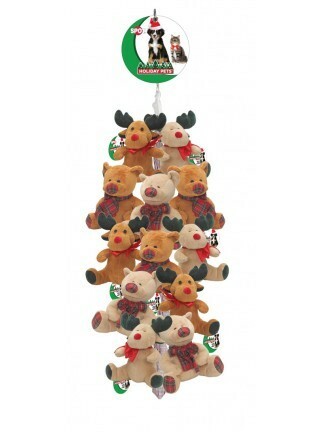 Plush corduroy gingerbread men. Squeaker inside for added fun. 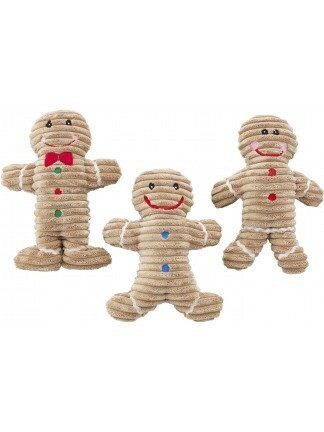 Assortment of 3 gingerbread men. 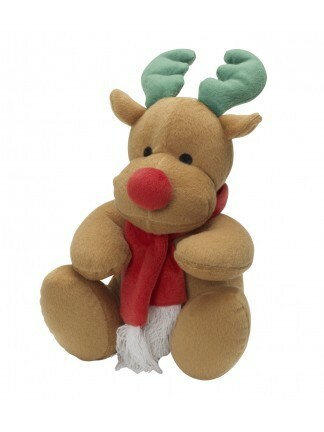 Durable plush corduroy reindeer. Squeaker inside for added fun. 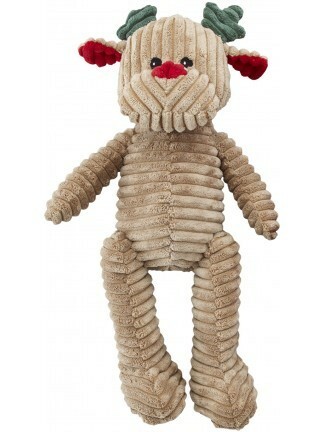 Durable plush corduroy santa. Squeaker inside for added fun. 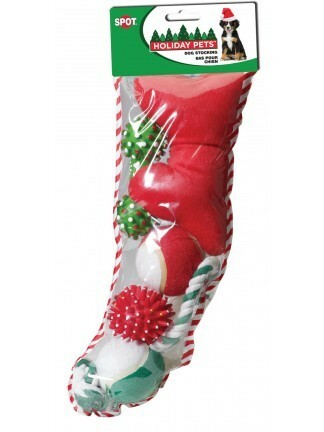 Holiday themed Crinkle Crew toys with crinkle paper inside. Squeaker for added fun. 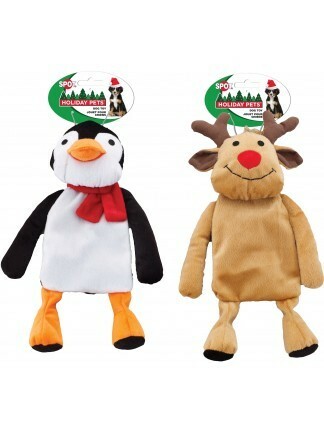 Two characters: penguin and reindeer. 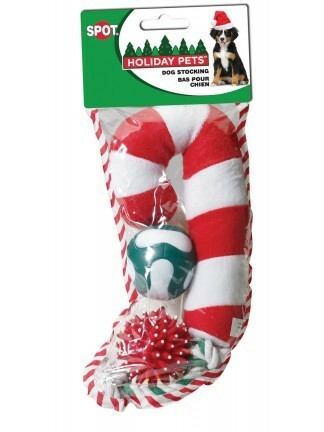 Holiday stocking for dogs. Small. 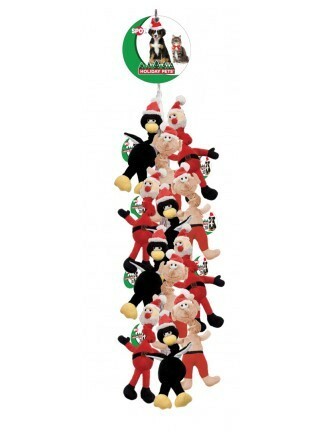 Includes 5 toys. 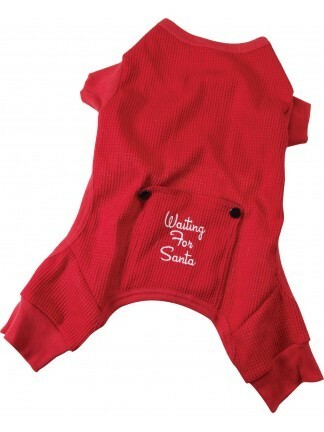 Holiday stocking for dogs. Small. Includes 4 toys.